Great news – The Wanderlust Catholic launches today! As I’ve described this project to others, I’ve realized that a sample letter would make this idea come to life, so…here it is! 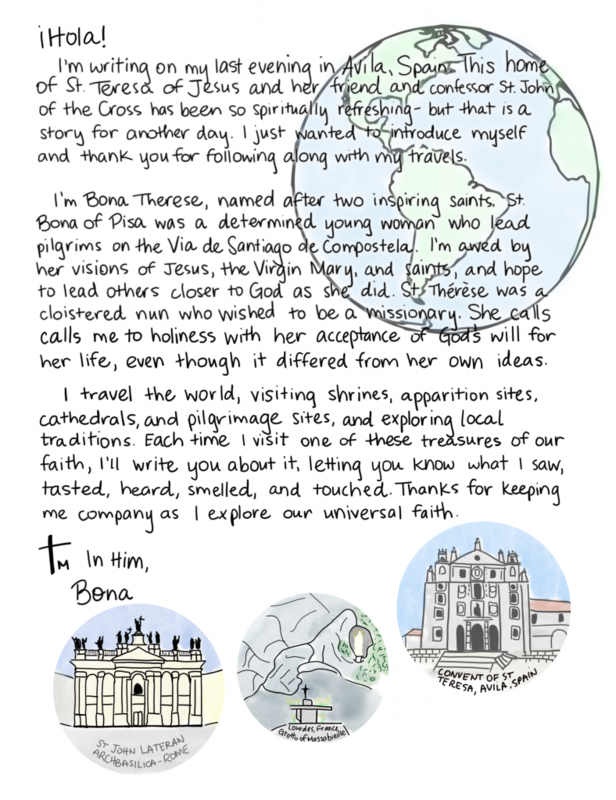 A little introduction to Bona, our world traveler, and a look at the hand-lettering and illustrations that will accompany each letter! See more details and subscribe here. Note that each monthly letter will be double-sided and focus on one particular location!